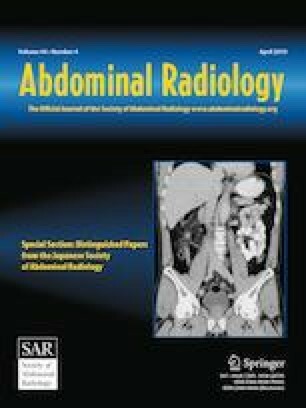 To assess subspecialty mix and case volumes of general and abdominal subspecialty radiologists interpreting abdominal MRI. The 2016 CMS Physician/Supplier Procedure Summary Master File was used to obtain billed counts of radiologist-interpreted abdominal fluoroscopy, US, CT, and MRI examinations. The CMS Physician and Other Supplier Public Use File was used to assess the subspecialty mix and case volume of the radiologists interpreting those examinations. The fraction of all abdominal imaging examinations interpreted by generalists and abdominal subspecialty radiologists was 70.7% and 16.5% for fluoroscopy; 68.7% and 21.0% for US; 71.4% and 19.2% for CT; and 41.9% and 52.5% for MRI. In 2016, the fraction of general and abdominal radiologists interpreting > 50 fluoroscopy examinations on Medicare fee-for-service beneficiaries was 15.1% and 16.2%. For > 50 US examinations, the fraction was 61.5% and 60.5%; for > 50 CT examinations, 91.2% and 79.6%; and for > 50 MRI examinations, 4.0% and 28.5%. The fraction of abdominal imaging examinations interpreted overall by low-volume providers (those interpreting ≤ 50 examinations in 2016) was 59.5% for fluoroscopy, 17.5% for US, 6.3% for CT, and 50.6% for MRI. Nationally, most abdominal fluoroscopy, US, and CT examinations are interpreted by general radiologists, who have similar annual volumes of these examinations as abdominal subspecialty radiologists. In contrast, most abdominal MRI examinations are interpreted by abdominal subspecialty radiologists, who attain considerably higher volumes. These findings have implications for workforce planning and abdominal imaging fellowship design to ensure their graduates are optimally prepared to contribute to their future practices. Authors Rosenkrantz and Duszak are supported by research grants from the Harvey L. Neiman Health Policy Institute. Centers for Medicare & Medicaid Services. Physician/Supplier Procedure Summary File. https://www.cms.gov/Research-Statistics-Data-and-Systems/Statistics-Trends-and-Reports/Physician-Supplier-Procedure-Summary/index.html. Accessed on: December 28, 2018. Centers for Medicare & Medicaid Services. Medicare Provider Utililzation and Payment Data: Physician and Other Supplier. https://www.cms.gov/research-statistics-data-and-systems/statisti cs-trends-and-reports/medicare-provider-charge-data/physician-and-other-supplier.html. Accessed on: December 28, 2018.